Today I got to do the fun chore of the first plane cleaning. It's getting warmer now so I thought I'd start by degreasing the belly from the heater exhaust. Here is a shot showing the soot running from the heater exhaust all the way down to the tail. Since it's starting to get warm and I probably won't be using the heater much, I figured now was a good time to clean it up. I bought some stuff called Simple Green from Aircraft Spruce and the gunk came right off. 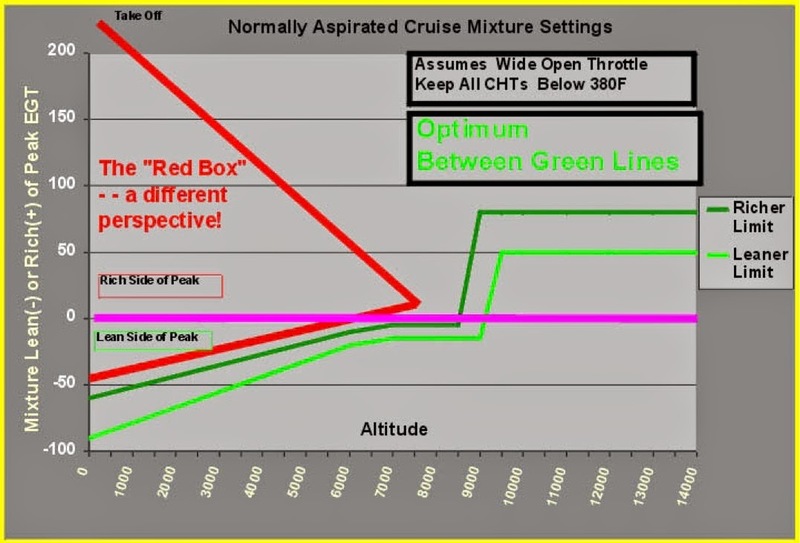 I had also asked a few people much more knowledgeable than myself about my fuel burn spread between the two engines and my friend Jerry suggested that I simply need to adjust the gauge. I have Alcor exhaust gas temperature gauges and they have a specific tuning procedure which requires a very small flat head screw driver. Jerry volunteered to help me with it and so today we took her for a spin to get the adjustment done. Here we are level at 7500 feet with the autopilot doing the work while Jerry does the adjustment. I'm pleased to say my burn spread at the same EGT's is now only about half a gallon an hour... I can live with that! Then we flew to KTCY for cheap(er) gas and Jerry gave me some of his tips for handling the Baron. All and all a fun quick little flight and I learned a lot. Thanks Jerry!